This is the last issue of 4 set dedicated to the pioneers of aviators. 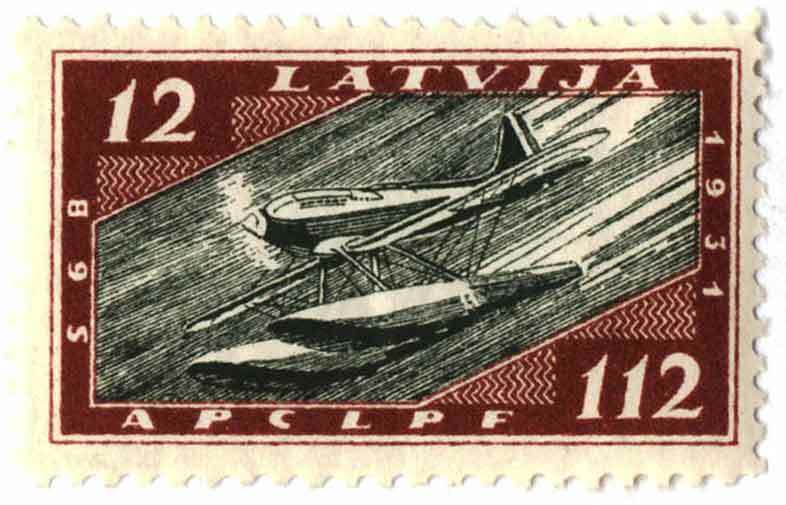 In the mid 1920's the Latvian aviators of the Air Force Regiment organizes the "Disabled Aviators Relief Fund" APCLPF. The fund was to provide medical assistance to wounded aviators, to help support families of perished aviators, and to care for the graves of fallen aviators. 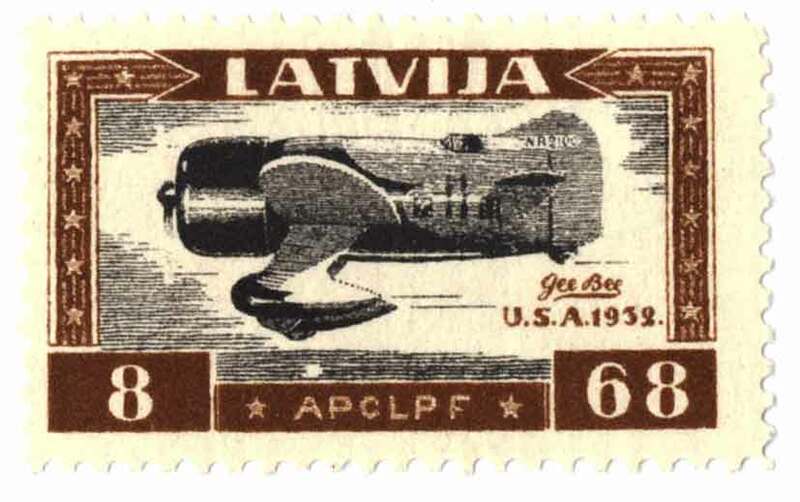 Money was raised by air shows, lotteries and donations gained by the sale of special postage stamps. 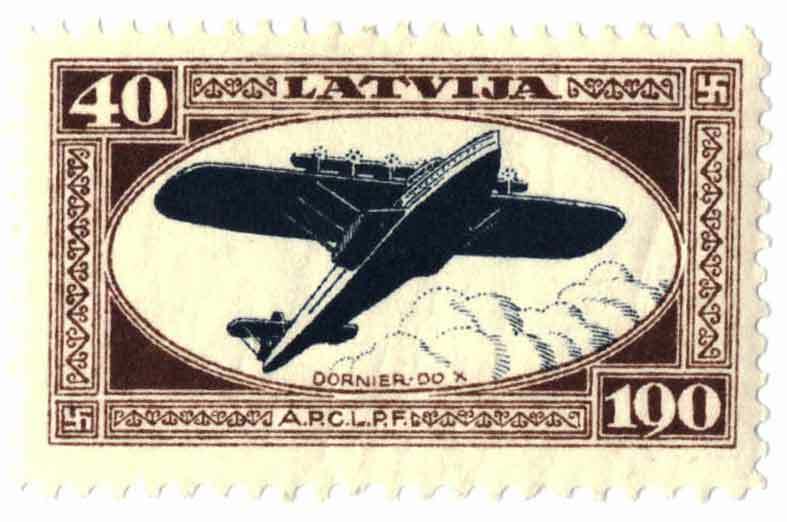 Four set were issued between December 1932 and September 1933, and all stamps of both varieties - perforated and imperforated All stamps were sold with extremely high surcharges, and for this reason several catalogues did not list them at all for many years. These stamps, like the Home Guard issues, were hardly ever used for franking ordinary mail, and practically all covers are of speculative philatelic nature. 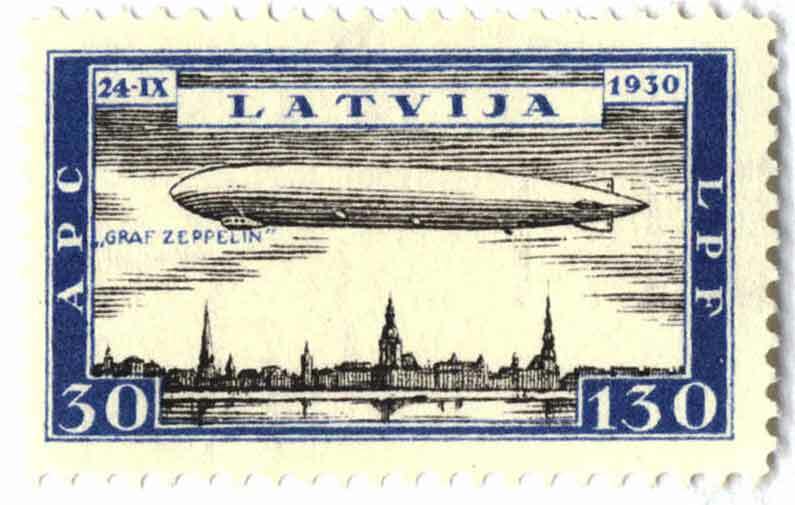 There is no record how much money the Fund received by the sale of the special stamps, but the Lats 200,000 as planned could not be raised. It is known that dealers purchased large quantities below face value and made unjustified profits for many years. 8(68) Sant. US Fighter "See Bee"